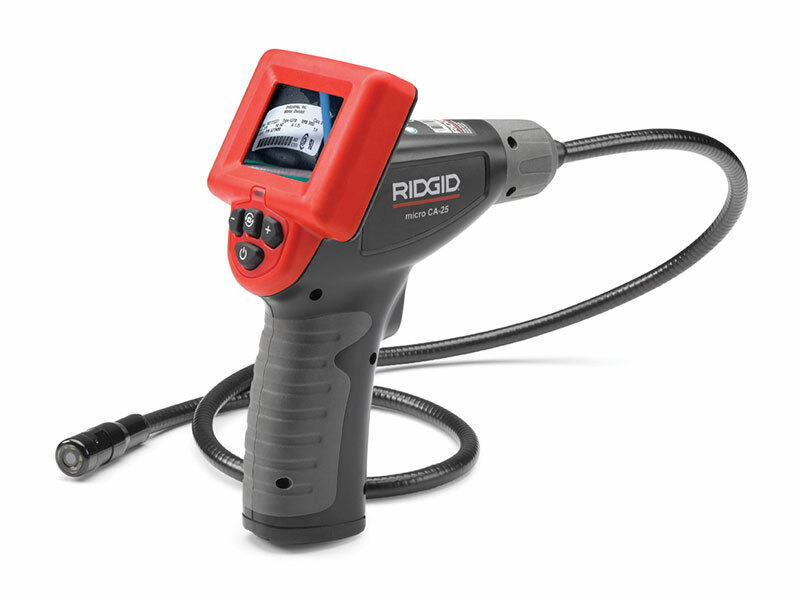 The RIDGID® micro CA-25 is a compact handheld inspection camera with a fixed 17 mm waterproof imager head for basic and short-range inspection jobs. The micro CA-25 features a 17 mm aluminium imager head with 4 ultra-bright LED lights, bringing superior image quality to its 2.4” Colour LCD Screen. It also features Video Out for transferring live images to external devices and 180° Digital Image Rotation for getting upright images. Included with the micro CA-25 in a hard shell plastic case are a hook, magnet, mirror and RCA cable. Note: No extension is available with this model.